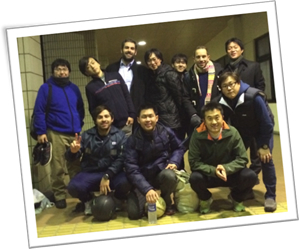 We are a team strong of 6 nationalities (5 in our Japan office). Passionate by automotive, we use our skills and creativity to transform ideas into concreate products. We don’t just make pumps; we imagine new ways to bring innovation to engine, we draw the future of automotive. That goal can only be achieved by the strength of a team, supporting each other, and as we believe there is not only work in life, we keep this team spirit after work as well. 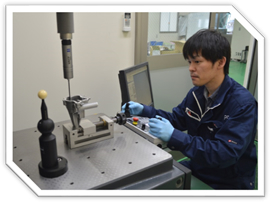 Our company is young and its culture is growing each time a new member joins us. In PMP we embrace diversity of ideas and ways of thinking to make the company stronger. There are many opportunities for motivated people, whatever their current main role is. The job is demanding but truly rewarding. But this is a small company? 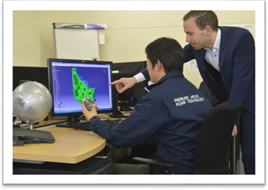 The Japan office has a reasonable size indeed, but when you will travel to our plant in China or visit our parent company in Europe and in the rest of the world, you will realize that we are a small family within a much bigger tribe. If you share the same values as us, fasten your seatbelt and join us for the ride! Please look at the below vacancies. If no position is open but your profile matches our expectation, please send us your resume and a cover letter. We are always looking for people with high potential. Copyright ©ピエルブルグ・ミクニ・ポンプ・テクノロジー株式会社 All Rights Reserved.